Course Fee: €250 which includes all registration fees. Delivery Format: Distance Learning Course of 6 lessons. Deficient actions and reactions always service to produce feelings of contempt in other people. On the other hand, if an individual behaves in an aggressive manner and presents too strong an image, in the majority of cases not only will this behaviour lead to disrupted communication with others, it will also tend to promote counter-aggression from those concerned. 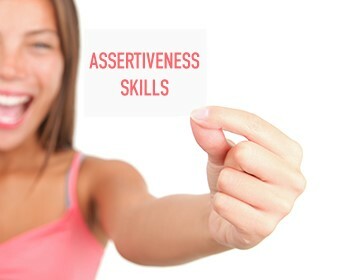 Aggressive behaviour and assertive behaviour should never be confused, for properly assertive behaviour, though it does not always result in a person achieving their desired goals, does tend to promote a person’s self-image and lead to a feeling of well-being. Upon completion of this course you may take a final online examination. Full details of this examination are automatically sent to you at the end of the course. The examination costs €65 and is taken at home at your convenience. If you receive 70% or more in this examination you will receive an ITEC – Irish Training and Educational Centre Diploma.